My very first Islay startrails picture. This was from just outside one of the cottages at Kilchoman House Cottages, the view is towards the Kilchoman Crags and Kilchoman House. Friends unknowingly (at the time, they know now) helped me with this picture: They had been out for the evening and when they returned their car lights illuminated the crags and the house, making it look much better in the finished picture. 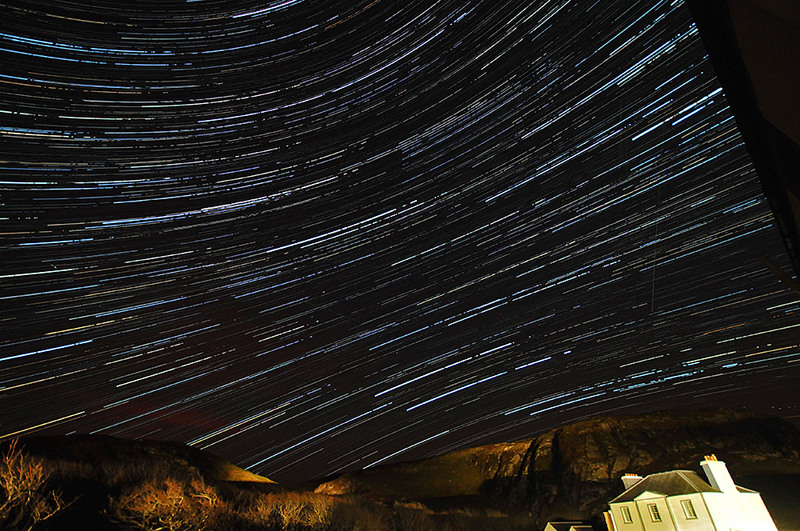 This entry was posted in Landscape, Night, Repost and tagged Islay, Kilchoman, startrails by Armin Grewe. Bookmark the permalink.